﻿﻿// Orlando 401k Specialists is a leader in providing low-cost 401(k) plans, Solo 401(k) plans, SIMPLE IRAs, SEP IRAs, 403(b) plans, 457(b) plans and defined benefit plans to companies and municipalities across the U.S.
We serve individual clients, small businesses, large corporations and local and state governments with IRAs, workplace retirement plans, investments, life insurance, disability insurance and annuities. We also provide investment advice to 401(k), 403(b) and 457(b) participants at some of the nation’s largest employers including the University of Central Florida, Florida Retirement System, Florida Hospital, Lockheed Martin and more. Contact us to become our client and receive professional help with your workplace retirement account. 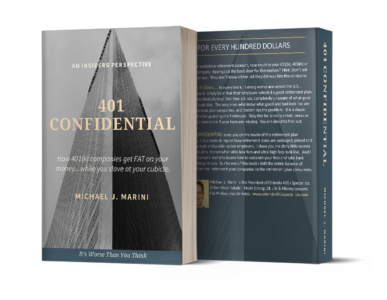 In our new book 401 CONFIDENTIAL we reveal ways that employers and employees can work together to identify and assess an overpriced 401k plan, and then set about securing lower retirement plan fees for everyone in the organization. 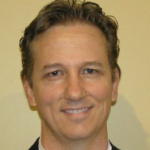 About the Author: Michael J. Marini is a financial adviser and president of Orlando 401k Specialists. Other titles include: Finish Strong: 21 Life & Money Lessons For Professional Athletes.